SEMINOLE COUNTY, FL (KTRK) -- A Florida woman is charged with allowing a 7-year-old child to drive a vehicle while she sat in the passenger seat. 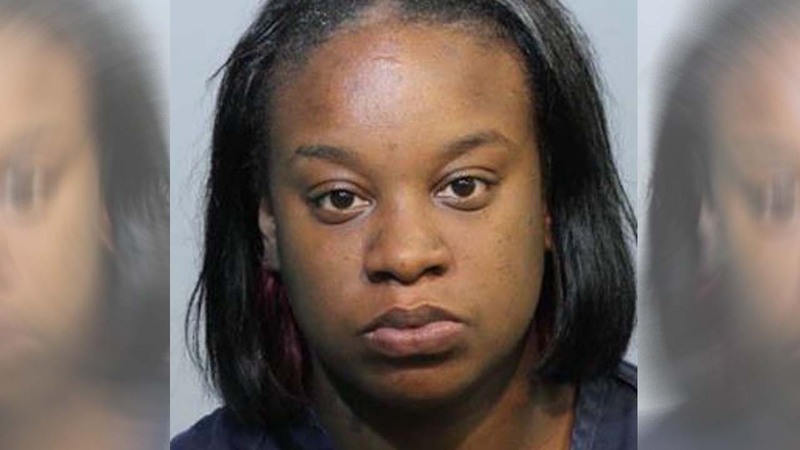 Officials with the Seminole County Sheriff's Office say Kwaniqua Glenn, 25, instructed the child to drive through a neighborhood in Altamonte Springs, Fla.
How did officials find out about the incident? A video was posted to social media. In the video, the child was shown sitting alone in the drivers seat of the car, not wearing a seat belt. Glenn could be heard making comments while filming the boy drive, authorities said. According to deputies, a school resource officer was able to recognize the child and report the crime. Investigators were able to determine the child was driving at an average speed of 28mph for about one-third of a mile. Glenn, who was arrested Thursday, is charged with child neglect and allowing an unauthorized person to drive a motor vehicle.